Deciphering the meanings of the dishes at the annual Chinese NAew Year dinner is like a treasure hunt. Each individual dish is steeped in tradition and is a homonym for a particular wish for the year to come. Among the must-have dishes at the table are fish to signify abundance, spring rolls and dumplings to represent wealth, tang yuan also known as sweet rice balls for family togetherness, and oranges, tangerines and pomelos for fullness and wealth . As significant as each dish is, it is also important to remember that cooking methods have health consequences. For example, consuming too much oily fried food is bad for the heart. Remember more Fatt less Fat. 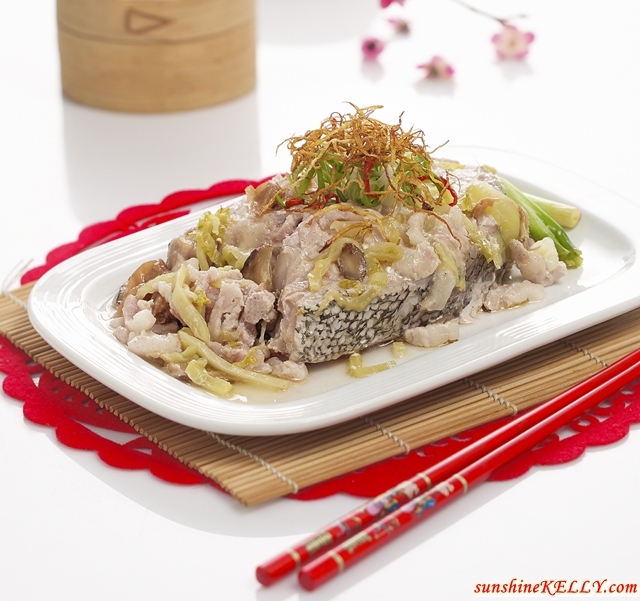 Usually there is fish dish during reunion dinner because fish means abundance. So those who have fish for their Chinese New Year reunion dinner will be blessed with abundance. As mentioned this year we want more fatt than fat so steam fish is a healthier option. 2) Clean fish slice and rub with marinade (A). 3) Place marinated fish on a piece of aluminum foil. 4) Spread belly pork, salted green stems, mushrooms, ginger and sour plum and spring onion over the fish. 5) Pour remaining marinade ingredients over the fish. 6) Wrap up the aluminum foil into a neat package. 7) Fill up water in the cooking basket up to level of the wire mash. Placing the fish packet into the basket, slide the basket into the PHILIPS AirfryerTurboStar. 8) Steam the fish packet at180° C for 15 – 20 minutes or until fish is done when pricked with a fork. 9) Transfer fish to a serving plate and add garnishing. 1) Marinate chicken with seasoning ingredients (A) and set aside for at least 1-2 hours. 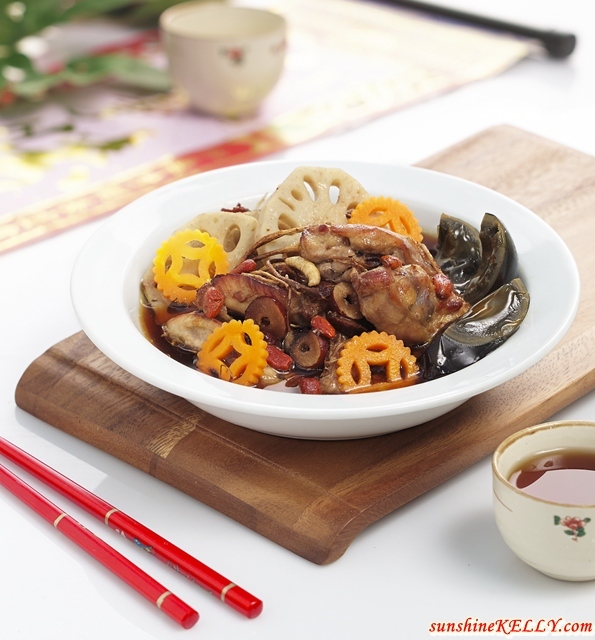 2) Combine marinated chicken with ginseng root, red dates and Kei Chi. 3) Arrange marinated chicken mixture and lotus root in a heatproof dish. Pour in water to mix. Cover the dish with a piece of aluminum foil. 4) Place the heatproof dish in the wire basket. Fill up water in the cooking basket up to the level of the wire mash. 5) Slide the basket into the PHILIPS AirfryerTurboStarand set the temperature at 180° C. Steam for 30-35 minutes. 6) At the final 15 minutes of cooking slide the basket out and add century eggs and carrot then continue to steam until chicken is done. 7) Should chicken is not up to desired texture; continue to cook for another 5 minutes. These recipes are from celebrity Chef Amy Beh using the Philips Airfryer with new TurboStar technology. I hope hope you have a prosperous Chinese New Year and blessed Reunion Dinner. Remember to eat moderately, go for the healthier choice and also don’t forget to exercise. 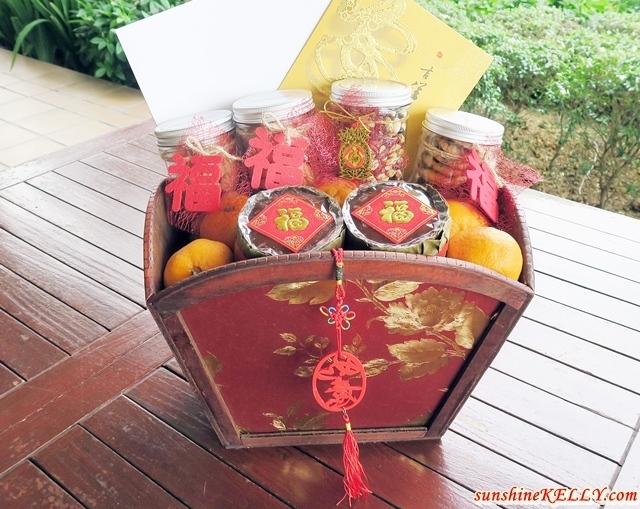 Last but not least, thanks to Philips Malaysia for this auspicious Chinese New Year Hamper. 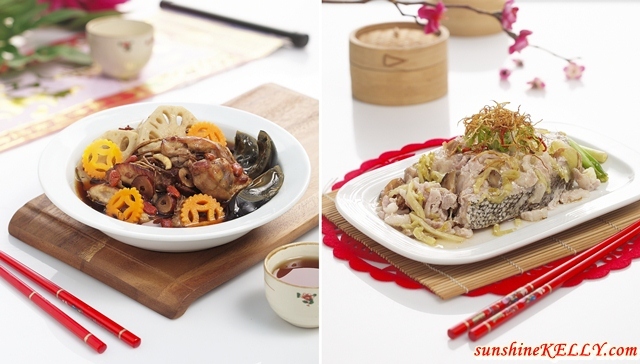 Chinese New Year Recipes & Dishes for Good Luck and Health More Fatt Less Fat!